The Books That Built the Blogger with Heaven Ali! Today on The Books That Built the Blogger, I have the fantastic Ali from HeavenAli blog. I love Ali’s blog so much – she has a wonderful mix of classic and new books and it is because of Ali that I finally made an effort to read Edith Wharton, Virginia Woolf and Molly Keane. So, I have a lot to thank her for. Here are her great choices. I’m Ali, I blog at Heavenali – the vast majority of my posts are book reviews, and I don’t blog about anything that isn’t book related in some way, book lists, book buying etc. 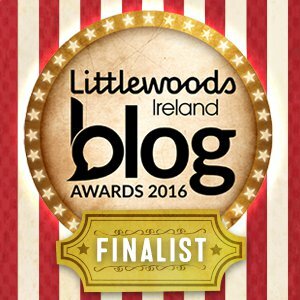 I have been blogging in fact a lot longer than I have been on WordPress. I started off on LiveJournal back in something like 2006 or perhaps 2005 – many posts were transferred over here when I moved – though I went back and deleted a lot of them. My blog posts were a bit odd back then, and so was LiveJournal – I think we were all buried away in some kind of weird parallel blogging universe that only other Livejournallers knew about. At the end of January 2012 I transferred to WordPress – and decided to make more of an effort with the whole blogging thing. I have been trying to decide which book it was that really ‘got’ me – made the book addict I am today. I can’t remember a time when I didn’t read, and to be honest there are several candidates for the book which turned me into a book fiend – but I settled finally on this one. I was probably about seven – and the story captured my imagination, I felt it – in a way which 40 odd years later I still remember – I was transported to a caravan, to those woods with Danny and his father. I can still remember the best way to catch pheasants, and how it feels to wake up at night in a tiny caravan and find my father has gone out. I was around eleven when I first read Agatha Christie – I read many of her most famous works back to back – taking them out of the library – where I could be found on many a Saturday morning. Since then I keep going back to Dame Agatha – I know where I am with her world, and I usually forget whodunit anyway. Of course, there are one or two books which once you have read, it would impossible to forget the conclusion, and this is, one of those. Maybe one day I will re-read it to see how it hangs together. I have read the whole quartet twice, and loved the TV adaptation, but of course with any series it is the first book which pulls you in. Looking back, I think The Jewel in the Crown set me on a path of reading a certain kind of book from a certain period, I was becoming less and less bothered by new novels – though I still read those too. For a while, quite a long while I read a lot of what is loosely termed ‘Indian lit’ discovering writers like Anita Desai. However, I also think that perhaps Paul Scott started me reading about a certain type of English community, upper middle class, privileged, establishment, – I wonder now what attracts me to that – I really don’t know. 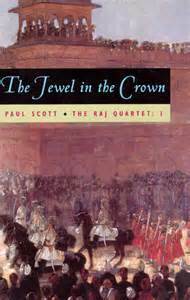 Both my readings of The Raj Quartet were pre-blog – but I expect I shall read it again one day. The first novel in the quartet recreates the last days of British rule in India. The British community fear the rising call for Independence while their own country is at war, those in India fear Japanese invasion. In Mayapore province a young Englishwoman is raped, the events leading up to the attack and its aftermath are at the centre of the novel. In 2010 – my friend Liz (who blogs at Adventures in Reading, Writing and working from Home) loaned me The Gentlewoman by Laura Talbot – a lovely old Green Virago. It re-awakened an old obsession – green Viragos. Years earlier I had read some green vViragos, Precious Bane, Frost in May, Novel on Yellow Paper, The Crowded Street, and others I have now forgotten. Many were probably library books, though I think I owed a small number too. In those days, I lived in a tiny flat with two small bookcases (and that was pushing it really) and so I had to keep getting rid of books. 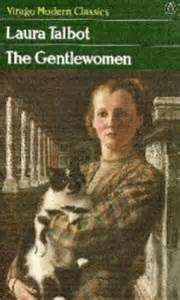 Reading ‘The Gentlewoman’ – which I loved, reminded me of those books, books of a different time, written by women. Governess Miss Bolby leaves her boarding house in Birmingham for Rushford where she will be teaching the daughters of Lady Rushford. Rushford is not all that Roona Bolby expects, there is a new house maid, who Miss Bolby doesn’t think is up to scratch, and two Italian prisoners work in the grounds. Miss Bolby is obsessed by her past, she constantly lives in the past, hanging on to the threads of her aristocratic connections. Her life has been a series of disappointments, and she is constantly reminded of what might have been. She is a snob and harsh critic of others. A not very sympathetic character, she is fascinating and beautifully drawn. 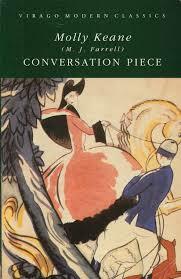 I joined the Librarything Virago group – and started buying and reading old green viragos again – it is a love affair which continues unabashed. Funnily enough, I have only just bought myself a copy of The Gentlewoman, which I really want to reread. In 2012 the Librarything Virago group decided to read all Elizabeth Taylor’s novels in celebration of her centenary year. She soon became one of my favourite writers. There are twelve novels so it fitted into a year perfectly, each month was dedicated to a particular novel, and hosted by an LT member. Not everyone had a blog so some people hosted by staring discussion threads on the forum, but those of us with blogs hosted our month on our blogs. I was still quite new to WordPress – and had never hosted anything before. 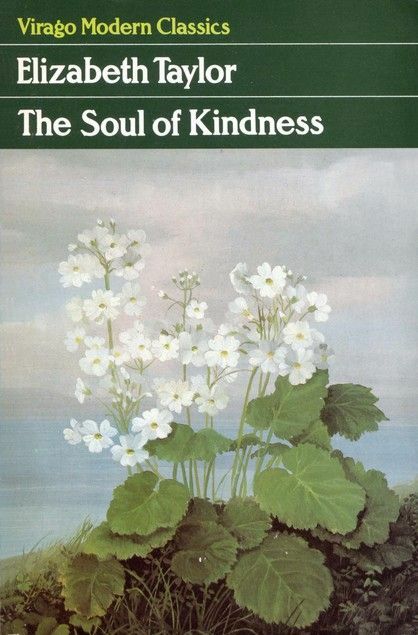 I was September – The Soul of Kindness – a novel I managed to write three or four blog posts about. The Soul of Kindness of the title is Flora Quatermaine, a beautiful young woman, who as the novel opens is getting married. Flora is simply adored by everyone, which she feels is her due. As time moves forward four years, Flora has everything she wants; her husband Richard, a baby and a lovely home in St. Johns Wood. She also has an array of loyal adoring friends. Flora only sees what she wants to see, hears what she wants to hear, she lives in a self-imposed bubble. She has her own ideas about the people around her, and is blind to any alternative. I think taking part in the Elizabeth Taylor centenary celebrations really helped me get to grips with blogging properly, and I began to feel part of a wonderful community. As a very keen Persephone reader I had to include a Persephone title. Miss Pettigrew I am sure (though not 100% certain) was my first Persephone read and started me off on another bookish obsession. It is one of only two that I have re-read – re-reading it in 2013, it remains a book I feel huge affection for. While it isn’t my favourite Persephone book, it is one I often recommend. Nervous, dowdy Miss Pettigrew is immediately swept up by Delysia LaFosse, treated as a trusted confident and friend. Delysia LaFosse is a glorious creature in a diaphanous negligee, who puts Miss Pettigrew in mind of the stars of the cinema she secretly loves. People come to call at the flat; each time the doorbell rings it seems to herald things happening. Miss Pettigrew is thrilled, never has she seen and heard such things in her life before. As the day progresses Miss Pettigrew – Guinevere – finds herself the dispenser of good sense and advice – almost without realising she is doing it. It is a book which I think has hidden depths, though its cosy, slightly frothy tone makes it a good comfort read, a fairy-tale for grownups. Thanks so much to Ali for those wonderful choices! 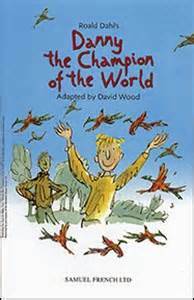 I have recently read Danny The Champion of the World to my 6 year old twins and we all loved it. I also know I am going to have to get my hands on Miss Pettigrew Lives for a Day as I have heard nothing but wonderful things about it! As it is Reading Ireland Month, here is a link to Ali’s fantastic review of Molly Keane’s Conversation Piece. Hello, Ali, and thanks for the shout-out. I also deleted some posts when I went over to WordPress from LiveJournal, and my reviews from those days are so short. I think if I was given your choices without your name being attached to them, I would still know they were yours! I do love Ali’s reviews, they make it very difficult not to buy lots of new books though! Try living a couple of miles away from her, although I got my own back by loading her with books I’d promised to pass to her yesterday, mwahahah! And they are all on the floor by the bookcase as I have no more room. Thanks Barbara! Ali’s choices are really great. Amazing! More titles added to the TBR! Ali’s enthusiasm is always so contagious! She is always introducing me to new authors that I want to try – and of course making me want to hunt for green Viragos. Thank you Cathy for asking me to do this it was difficult to decide which to pick but I think I went for the right ones. So many wonderful books! Danny the Champion of the World was an absolute favourite of mine and I remember writing a book review of it at the same age as Ali was when she read it. 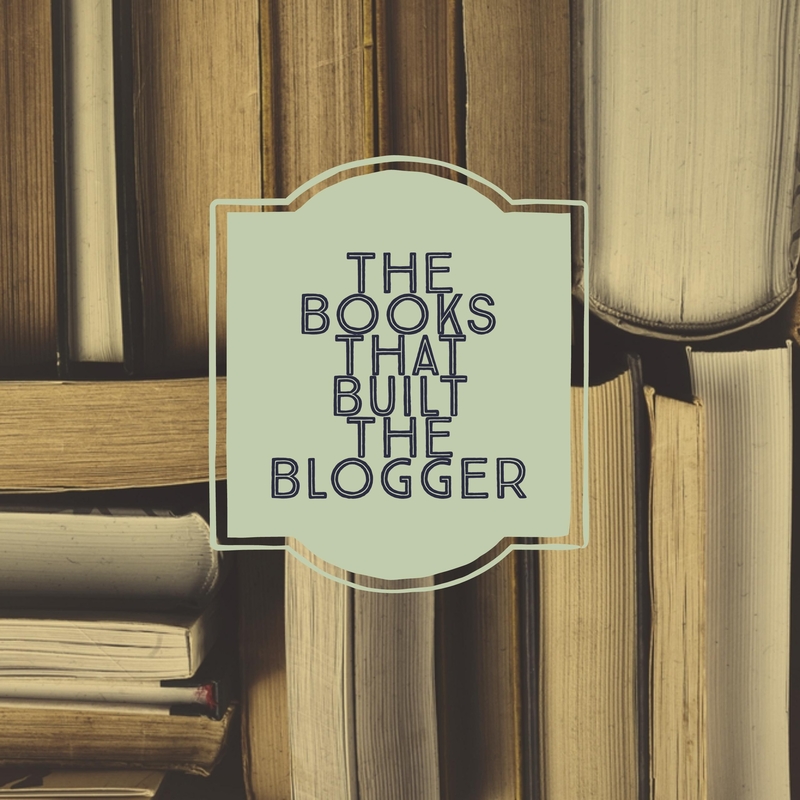 Maybe it was that which turned me into a book blogger – who knows? I also read ‘Danny, Champion of the World’ to my kids a few years ago. It was one I hadn’t read myself when I was younger, so it was a lot of fun. The Virago and Persephone books are constant sources of temptation! You can’t go wrong with Roald Dahl! 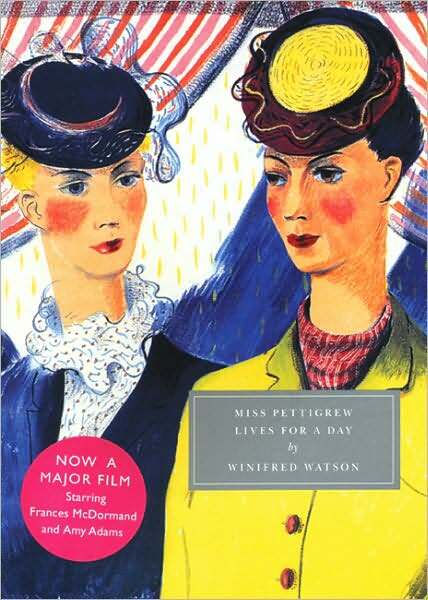 And one of these days, I WILL read Miss Pettigrew. Such amazing book choices. I too loved the Raj Quartet and I have Miss Pettigrew on my Classics Club Challenge list along with The Crowded Street by Winifred Holtby, a lovely green Virago. I have to get my hands on Miss pettigrew! Lovely piece and great to read about Ali’s formative books! Have to agree about the Christie – I had a similar experience in my teens which led to my life-long love of her work! I really wish I’d come to Christie earlier on life, but I can still catch up sometime! Great selection, Ali! ‘Danny, Champion of the World’ was also one of my favourites as a child, so it was lovely to see it make it onto your list. I’m still catching up on blog posts from when I was on vacation, but this is perfect timing, as Ali and I have just recently followed one another on WP! I see that she and I have a lot in common in our love for older British novels. 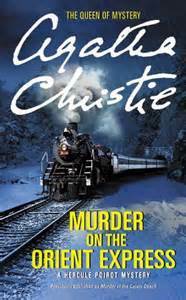 I recently reread Murder on the Orient Express and found it to be just as delicious as the first time back when I was a teenager.